Founded in 2002, TechnoBird a complete web solutions provider with its operations based in Pakistan comes to you with the message – put your business and services on the fast track of growth with the next generation tools of information technology. It is not enough for your business to be what it is, but it should also seem to be what it stands for. Creating that image in the global content is what TechnoBird delivers. Complete, comprehensive and expertly delivered web solutions, database design and custom application development using state of the art technology in web and multimedia design, database design and custom application programming is what TechnoBird guarantees. To provide easy, economical and effective web solutions to all kinds of enterprises – corporate and non-corporate that help them in meeting technology based business challenges. To explore and develop the market that can take us to the digital economy, which is tomorrow's opportunity. To remain as an integral part of dynamic and constantly evolving Information and technology sector with an effective strategy. This strategy is built on four pillars - Customer Focus, Speed, Quality and Cost Effectiveness with Technology Focus. 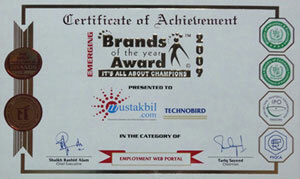 Mustakbil.com is a leading jobs site of Pakistan with over 23,000 employers and more than 1 millions active and engaged web users. High standards and special concerns about consumer's privacy entitled Mustakbil.com for the seal of certification by TRUSTe - world leader in consumer privacy protection. NaiCar.com is an autos website where people can advertise their ads for the vehicles they want to buy or sell. Frokht.com is a classified venture by TechnoBird, a place where people can advertise their ads for daily use items. 1Eent.com is an online platform to buy, sell & rent house, apartment and land in Pakistan. 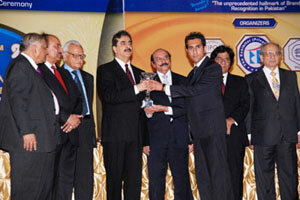 DirectPk.com is Pakistan's local business directory, which helps the people find details about businesses near them. Etail.Pk is an online shopping website, a trusted place to shop online in Pakistan. Its an online platform where users can buy latest laptops, digital cameras and multimedia projectors online at best prices in Pakistan with free nationwide shipping.